Thanks to a strong commitment to historic preservation by local developer Michael Rock, a long neglected 1893 gem in Irvington has been restored. 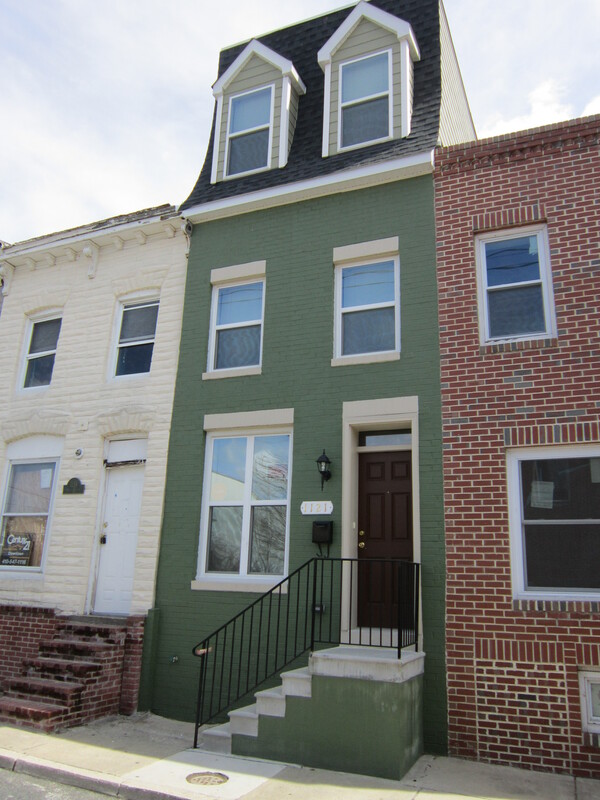 A young couple has a gorgeous “new” home in a convenient Baltimore city neighborhood. 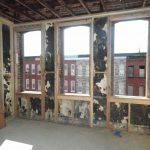 The stunning transformation of 4107 Walrad Street earned Michael and his MLR Development Corporation a 2018 Baltimore Heritage Award. 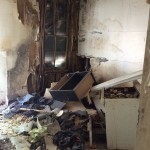 According to Michael, much of the interior was in good shape, as only a couple of families had owned the property over the years. 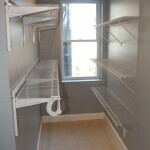 However, the project was not without its challenges. 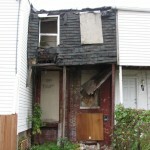 Removing the partially collapsed porch and replacing it was “tricky,” he said. He studied photos in order to restore it to its original size and shape. 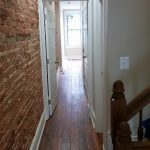 There was so much water coming into the basement from underground streams that the developer had to build a “complicated interior drainage system” inside. “We definitely went to extra expense on that,” he explained. 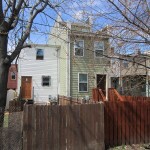 MLR reclaimed the original siding and kept as much as possible. It is regular clapboard with a clamshell design. 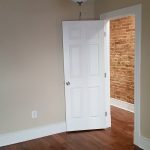 Where rotten boards had to be replaced, for example, around some of the windows, Michael had them made at a local shop to match the existing southern pine boards. Thomas Brown, Woodwright, also replicated one of the gingerbread details on the roof. 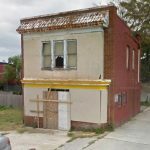 The owner of this unique machine shop in Baltimore’s Remington neighborhood orders special wood from Fiji and works on historically significant buildings not just in Baltimore, but in Washington, DC, as well. “Baltimore has everything, if you just look,” said Michael. 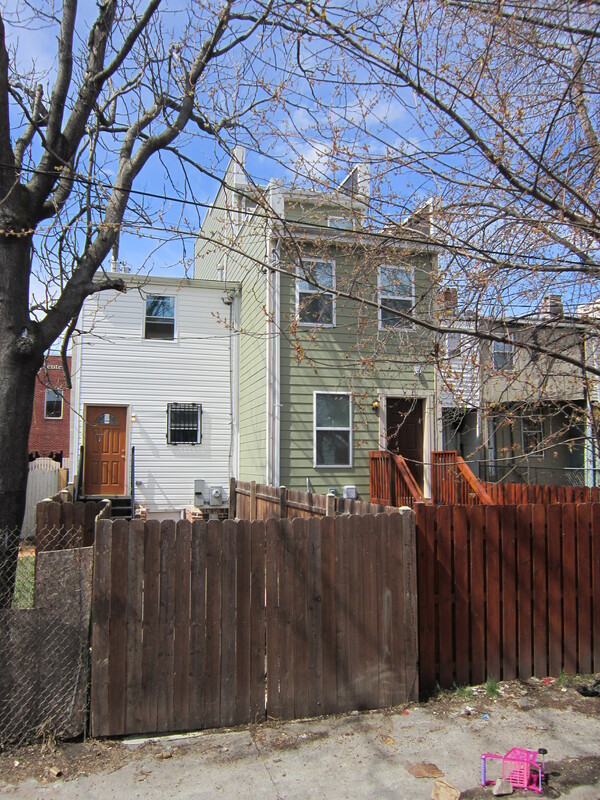 Another challenge at 4107 Walrad was the very deep lot that backed up to an alley, but the alley had never been deeded to the city so it was essentially abandoned. “We had to fence it off because it had become a pedestrian thruway,” said Michael, who sold the property for $189,900 in 2017. 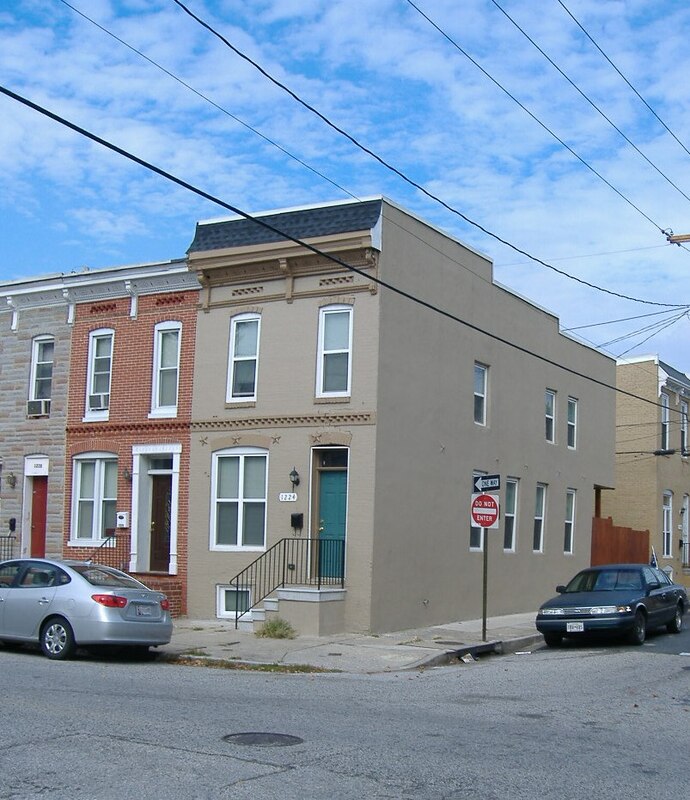 The Harwood neighborhood has one less vacant eyesore and a U.S. veteran has an attractive new home, thanks to the success story at 2504 Barclay Street. 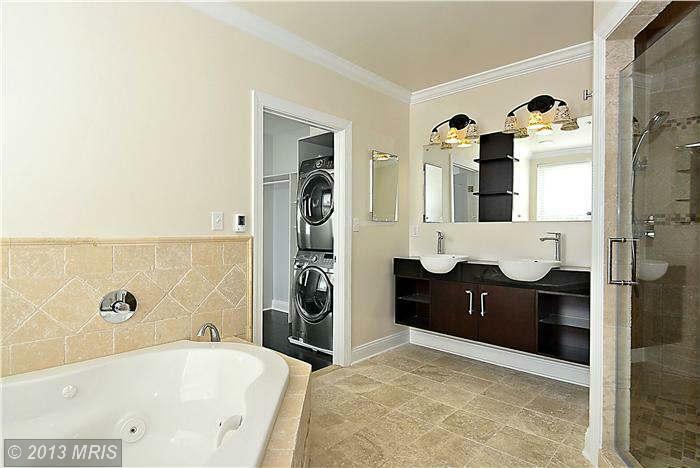 Other amenities include a rain-soaking shower, very large master bedroom, hardwood floors, and stainless steel appliances. 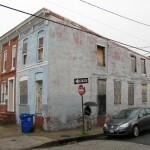 The Upton neighborhood of Baltimore, known for its large, stately, historic homes, attracted local developer Daniel Midvidy of Meadow Property Management to the west side of the city. 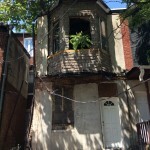 One of his first projects there, a vacant eyesore at 426 Mosher Street, was purchased at auction through One House At A Time. 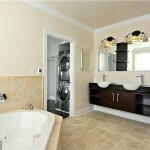 It is now an attractive rental that a local family calls home. 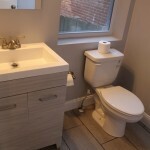 “It’s generally more economical to do a full gut job because you end up with a higher quality project and with lower maintenance costs,” explained the developer, who paid $6,000 for the property and has invested far more. 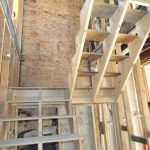 Baltimore Heritage, a local organization that celebrates historic architecture, recognized the successful project with a prestigious Heritage Preservation award. 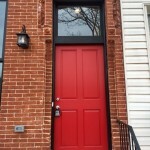 The project qualified for both local CHAP and federal historic tax credits, which added a “substantial level of scrutiny.” For example, the mortar color had to be red on the front of the building, wood floors were required to be laid front to back, and custom milled baseboard and door and window casings had to be installed. The large home has six bedrooms, three and a half baths, and a full unfinished basement. 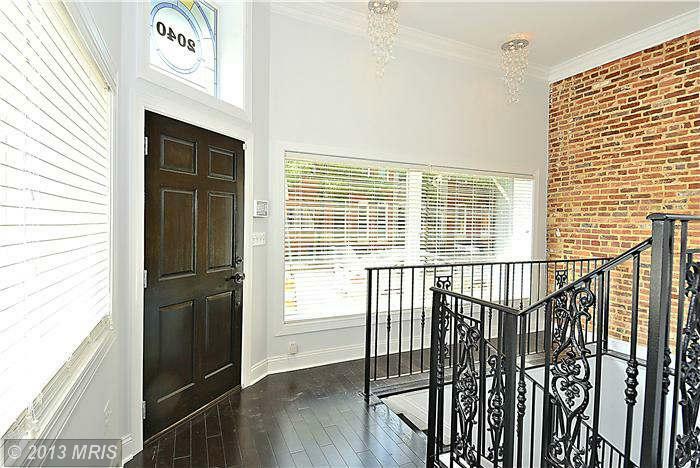 Special features include acacia hardwood floors, an elaborately decorated staircase, hand-turned white oak stairs, and a lot of tastefully exposed brick. 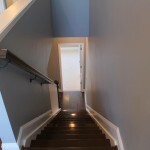 Local artisans created the stair treads, risers and balusters, baseboards, casings, and front transom bar. 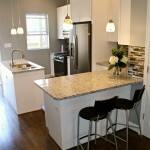 Meadow Property Management is active in the local community, beyond its building projects. “I consider myself a mission-based, for-profit developer,” said Dan. “It’s really important to address housing, economics, and education because they are inextricably linked.” Dan serves on the Boards of the Historic Marble Hill Community Association, the Workforce Development Leadership Council, the Roots and Branches public charter school, and the Small Developers Collective. 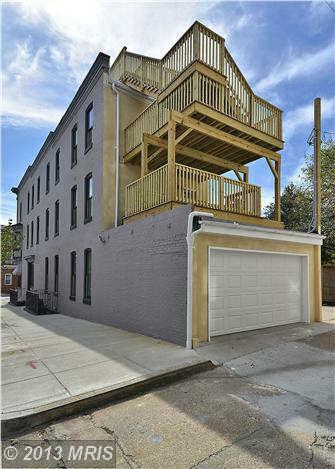 You can expect more projects in Marble Hill from Meadow Property Management. “As a business owner, I work on multiple projects at a time,” said Dan. 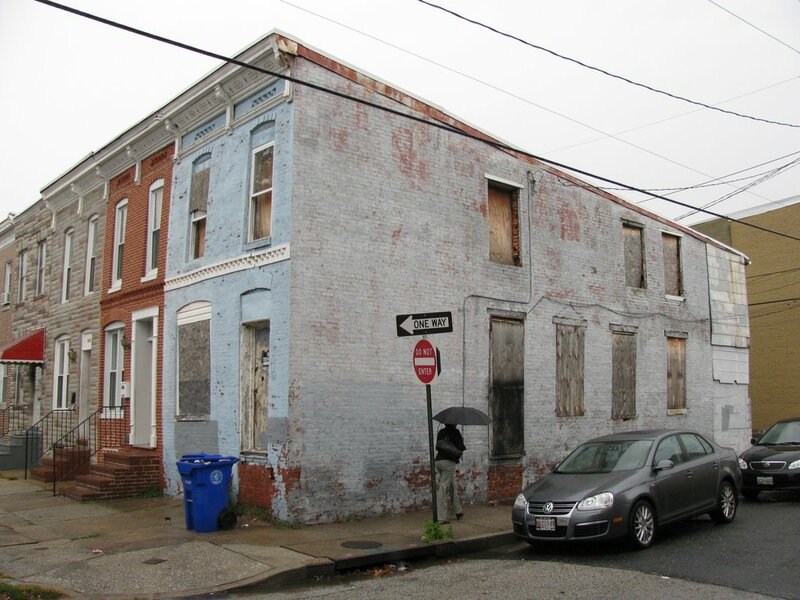 “Not one of them goes on a linear path, so you always have to be planning ahead, to be ready.” Meadow Property currently has a deep pipeline of residential units in production, most of which are currently designated as “vacant” by the Baltimore Housing department. We look forward to writing about Meadow’s next OHAAT success story: 1401 McCulloh Street, on track to be completed later this year. 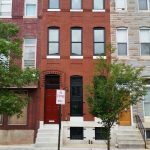 Chase Street Partners is successfully applying the “one house at a time” approach in the Broadway East and Oliver neighborhoods of East Baltimore. Take 1629 North Broadway, for example. The formerly vacant, derelict house is now an attractive, owner-occupied home, thanks to the developer’s vision and experience. 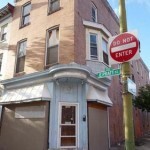 “We saw this historic property as a hidden gem, located near Johns Hopkins Hospital where exciting things are happening,” said Chase Street Partners (CSP) member Alex Aaron. He is one of three professionals operating the minority-owned investment firm. Alex and partners Ezra Lulandala and Gabriel Martino have backgrounds in accounting, real estate development, and public-private partnerships. 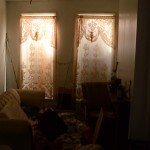 CSP purchased the vacant property at a One House At A Time auction for $5,000. Settlement occurred on April 23, 2016. 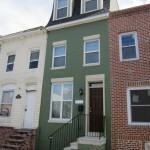 They rehabbed it and sold the property (for $279,900) less than one year later. “With a tree growing out one side of the house, structural challenges, and setbacks with gas and electricity connections, we had our work cut out for us,” explained Alex. 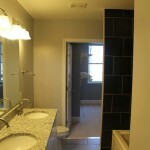 “Luckily, we hired an experienced local general contractor who consistently went above and beyond. 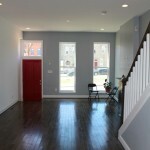 As a result, we were able to pre-sell the house and welcome the new homeowner to East Baltimore”! 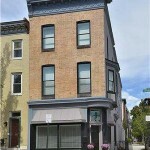 With a strong mission statement, an outstanding achievement at 1629 North Broadway, and a proven track record of success in fostering relationships and collaborating with the public, private, and nonprofit sectors, CSP is well on its way, and Baltimore is all the better because of it. Habitat for Humanity of the Chesapeake provides an excellent example of how One House At A Time can become One Block At A Time and even One Neighborhood At A Time, eventually transforming communities across the city. 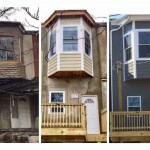 The local affiliate of this national nonprofit organization is applying its successful affordable housing model to transform vacant homes purchased at One House At A Time (OHAAT) auctions, along with other properties clustered in targeted neighborhoods citywide. 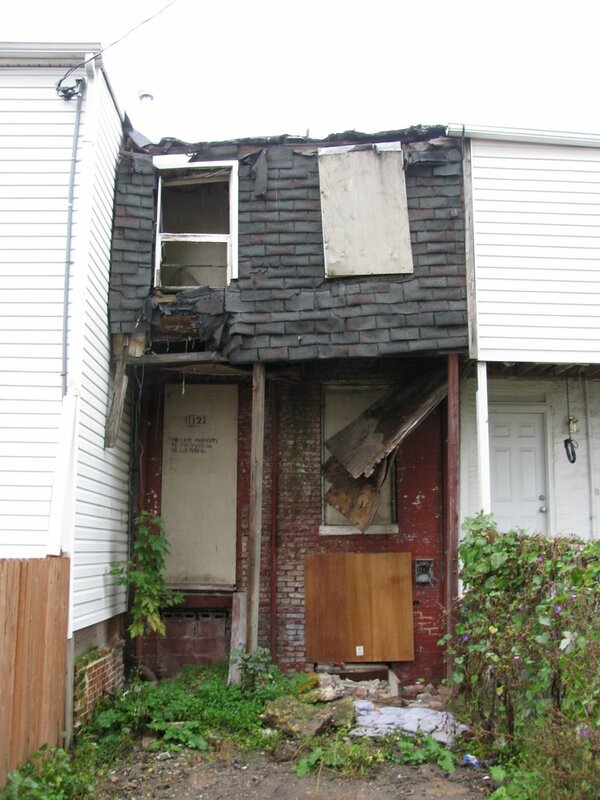 The blighted properties that had been deemed a nuisance in the community are completely rehabbed into Energy Star-rated homes for qualified family partners. Once accepted into the program, family partners commit a minimum of 250 sweat equity hours as part of their partnership with Habitat Chesapeake. They must complete a minimum of 150 hours on the construction site, 50 hours in the organization’s ReStore retail operation, and 50 hours in Homebuyer Academy classes. In turn, they earn the opportunity to purchase an affordable Habitat Chesapeake home with a 0% interest, 30-year mortgage. Habitat Chesapeake is either working on or has completed and sold nearly 400 houses in Baltimore city. 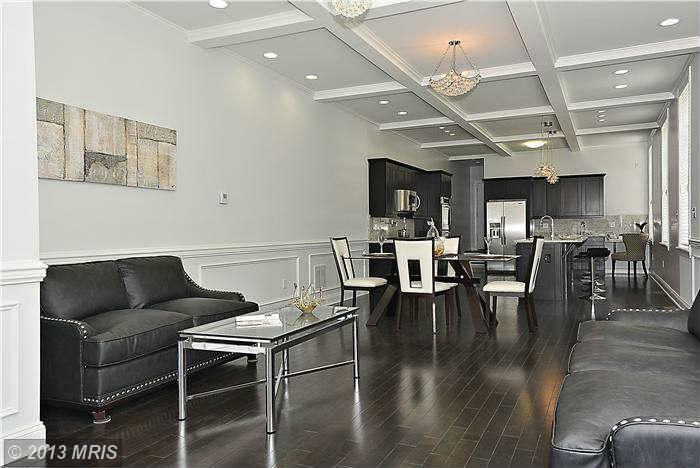 All were completed with sweat equity from new owners, whose no-interest loans were capped at 30% of income. All are first-time home buyers, and many are single-parent households, said Jerry. 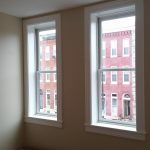 The success of Habitat Chesapeake is particularly remarkable in the McElderry Park community of East Baltimore, where 94 houses are in various stages of rebirth. 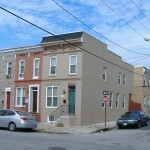 In the 2400 and 2500 blocks of Jefferson Street, for example, 17 vacant properties have been transformed into attractive homes; 40% of these were purchased through One House At A Time. Of the seven properties transferred through OHAAT auctions for between $5,000 and $11,000 in 2010-2012, three have sold ($108,000, $112,000, and $121,250). The SDAT value for the remaining four homes ranges from $55,300 to $130,000. 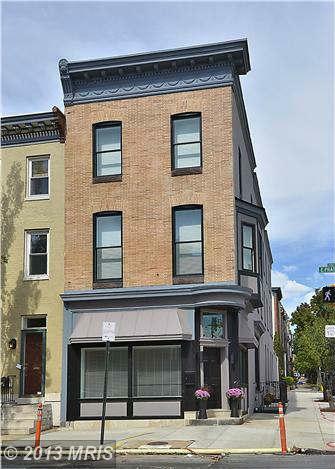 This investment has had a ripple effect: six additional vacant properties nearby were subsequently renovated by owners to use & occupancy standards. 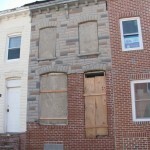 Other OHAAT properties rehabbed by Habitat Chesapeake are located on Dumbarton, Kenwood, Lakewood, and McCabe. “This is the kind of synergy created by the program,” said Jerry. 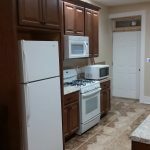 Across town, in Washington Village (also known as Pigtown), Habitat Chesapeake is having an impact with 24 gut rehabs and 18 new rowhouses completed. 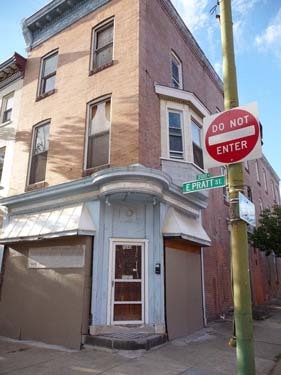 Two of the vacants were from OHAAT auctions: 1224 West Ostend Street (bought for $10,000, currently valued at $51,500) and 1121 Ward Street (purchased for $5,000, currently valued at $151,800). 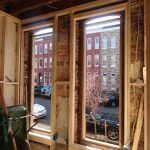 Now, they are attractive, Energy Star-rated houses, offering significant energy cost savings to homeowners because of the materials, insulation, and appliances used. “By clustering properties in a particular neighborhood, we can create greater impact and make more of a difference,” explained Jerry. 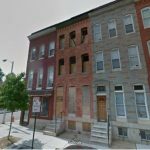 Less than one year after assuming ownership of the vacant property at 2040 E. Pratt Street, Elijah Kelley sold what he had transformed into a palatial home for $725,000. He had purchased the Butcher’s Hill property for $195,000 at a One House at a Time (OHAAT) auction. 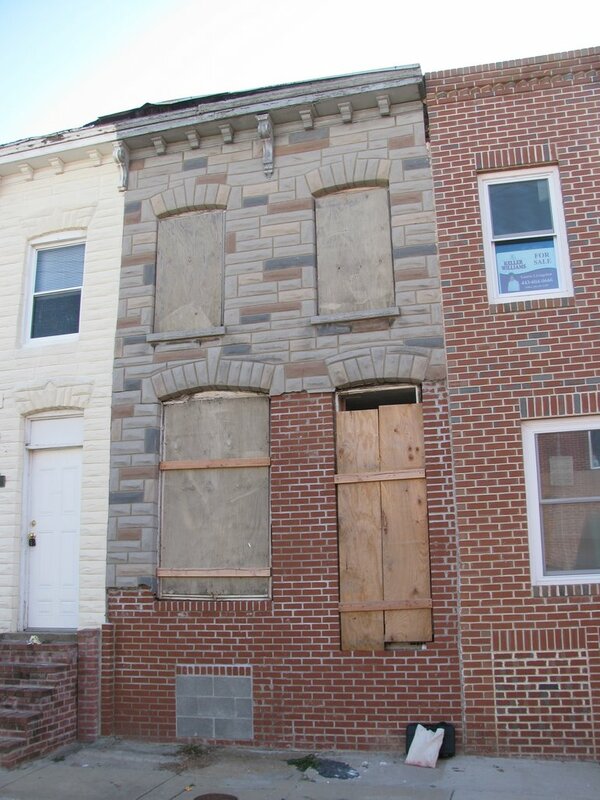 Elijah bought his first house in a tax sale from the City of Baltimore 11 years ago. 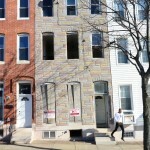 He rehabbed it, then bought and rehabbed the two houses that flanked that one. From there, he turned his attention to other parts of the city. Historic preservation requirements caused some minor headaches during construction, such as changing out paint colors and deck railing material, but it was worth it, according to the builder. 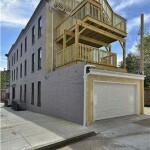 The resulting 10-year historic tax credit for the buyer helped clinch the sale.